Part One covered Friday. Part Two covered Saturday and Sunday. So what is left to talk about? You may be wondering what Gen Con Monday is all about. It's the day where your flight is canceled and you are stuck in Indianapolis for an additional 24 hours. Luckily, I was stuck there with designer Jay Treat who A) was great company, and B) had a few games on hand. 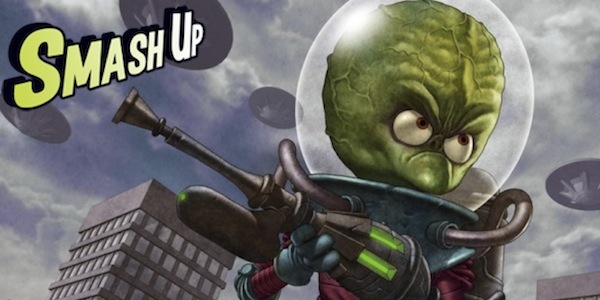 Click through the jump for a look into our extended Gen Con and all of the games we were able to play. Not a ton of personal photos this time around.... sorry! 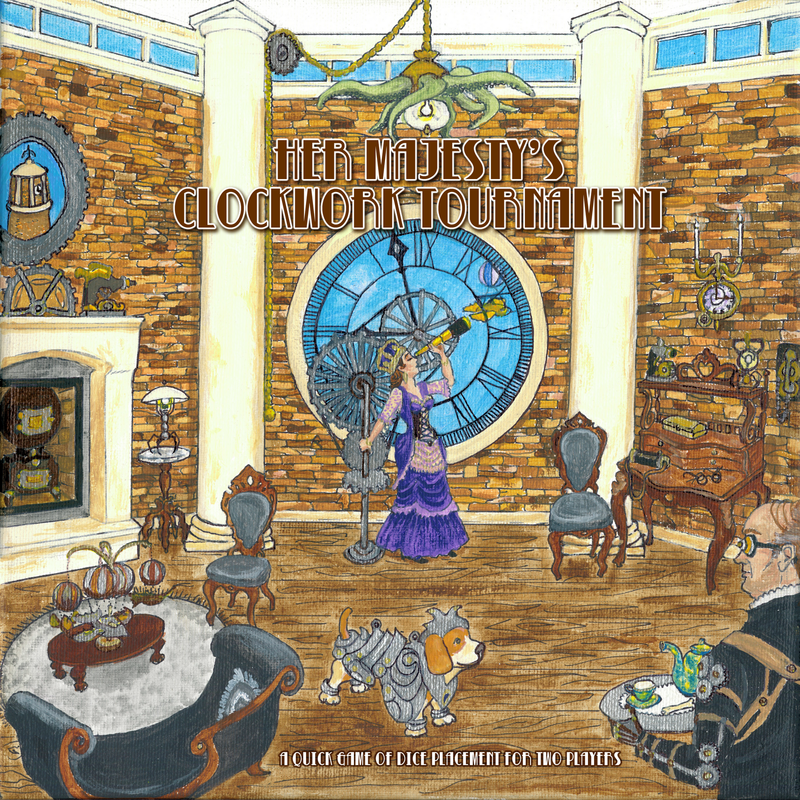 While waiting for information about our delayed flight, which was just delayed at that point, we tested out Jay's entry to The Game Crafter's steampunk design contest. It's a dice based game, as required by the contest, but it also features a game board and additional components. Players must connect gears in a machine, which will then earn them wrenches (will provide re-rolls later) or coins (victory points). After our flight was ultimately canceled, we headed to our hotel, ate, and played a late night, grumbly game of Smash Up, one of Gen Con's most popular games. I picked it up on Friday before it sold out, but never had a chance to play at the convention. 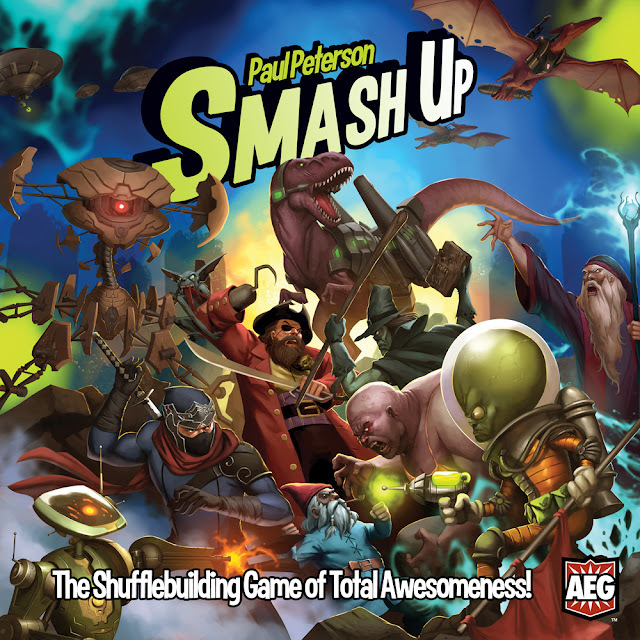 Smash Up is a "shuffle-building game" where you pick two factions (Aliens, Ninjas, Dinosaurs, Zombies, Tricksters, Robots, Wizards and Pirates) and shuffle them together into one epic deck. 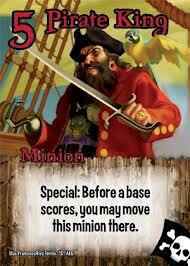 Then you will try to gain control of bases for big points and eventually win by reaching 15 points. Each faction plays completely differently and can make for some great combinations. Dinosaurs are big and bad. Zombies come back from the dead. Tricksters mess with everyone. Choosing your combination is one of the best parts of the game. Seeing it come together is really nice as well. So, was a long, stressful day, and I was really tired. The game is all about combos and my brain wasn't processing anything. I've played it since and had a LOT of fun with it. It's odd though. It feels light, but there is a lot going on. (Dice Hate Me has a full podcast about their newly defined game type: "Cards With Words", which I would definitely consider this one of) Up to 10 cards in hand and up to 5 bases on the board makes for a lot of text to read. There aren't any symbols or reminders for ongoing effects and you need to track our own score. These aren't major issues, but they might detract newcomers a little bit. I've heard that the next four factions are going to be Ghosts, Bears!, Plants and Steampunks. I hope they provide a scoring component as well. Looking forward to seeing where AEG goes with this game. One of my new-ish prototypes is a game called ZombieZone. I got a few games in and got some great feedback. 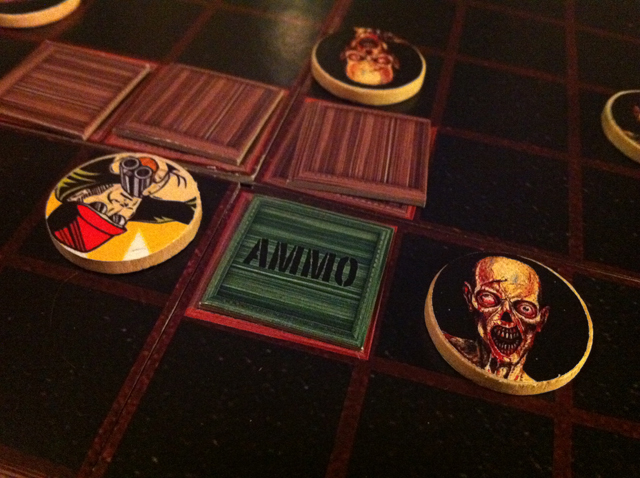 It's a gridded board (think bigger chess with obstacles) with Zombies battling Humans (think checkers that move by die rolls and flip over to become Zombies). I've been testing it for about a year and a half now and I think it's polished enough to go into pre-production. The game will be available from The Game Crafter during the month of October, and available for wide release in 2013. The awesome artwork (cover seen above, and new tokens that aren't seen here) is by Carey Pietsch, who is currently working on additional characters to really amp things up. I'm a sucker for a good collectible card game. I love the randomness of opening up packs of cards almost as much as playing the games. 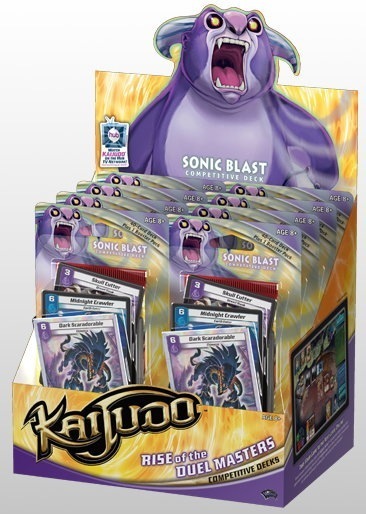 Jay had two decks of Kaijudo and we played a few rounds (of which I think I lost every single one). The game was very interesting. It had a Magic: The Gathering "Lite" feel, but it was a lot different at the same time. There are so many MTG habits that you need to forget when playing this game. The first was that all creatures cannot block. They must have the "Blocker" ability. Another interesting thing is that each player has 5 shields protecting himself from being attacked by the other player. 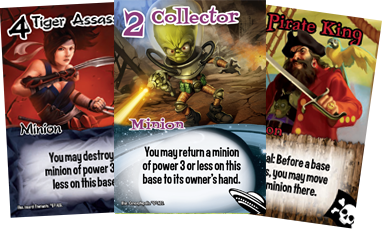 The shields are cards from their deck and as they are destroyed (by your opponent's attacks) you are given them as a reward. It's a neat catch-up mechanic, but it didn't help me win any games. I've almost picked up a few packs of these since Gen Con, but I've been able to resist. At least I've been able to so far. The last game that we had a chance to play was Hanabi. And what a closer it was. 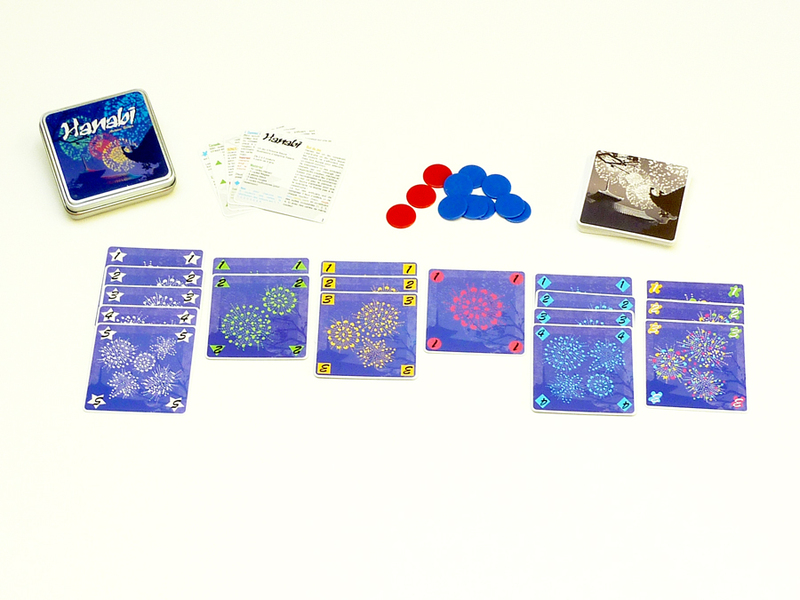 Hanabi is a cooperative game of memory and deduction with a FIREWORKS theme! Players hold their hand so that they cannot see it themselves, and the other player must give clues as to which cards are in their hand. Cards each have a number and a color, and the goal is to place them down in color coordinated piles from #1 to 5. Sounds easy, but it's is sooooo hard. You can only give so many clues before you run out of turns and you have to start guessing your cards. With so many variables (5 colors, 5 numbers, 5 cards), you will start second guessing everything. We scored around a 20 or so our first time and that's really good. The second game ended abruptly mid-way through, which would have been crushing if it wasn't to board a plane to finally head home. And that was Gen Con Monday! Getting stuck a few states away for 24 extra hours is no fun, but thanks to Jay Treat, I ended up having a great time. Convention season has started winding down, but we'll be at Metatopia in November and Unpub in January for sure. Thanks for the shout-out, Jason. I'm glad you wrote this so I didn't have to. Still a little PTS about the flight problems. That and I couldn't possibly have written this as well. As an update, Her Majesty's Clockwork Tournament didn't make guest judge Ben Haskett's final cut in The Game Crafter's Steampunk Design contest, but I'm still glad for the experience. I expected it would be quite hard to make a good game in 6 weeks, but now I know exactly how hard. I also learned the ups and downs of publishing via TCG. 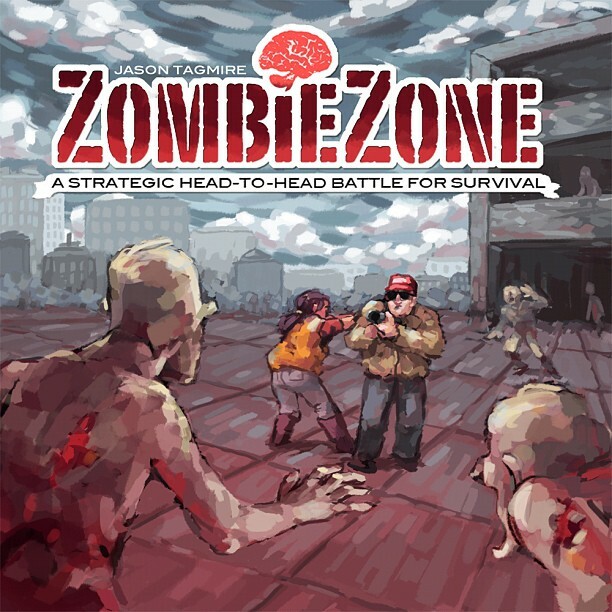 I really enjoyed ZombieZone and I'm looking forward to snagging a copy soon. I'm sure Jason will write about it more, but to give everyone else a tease, it's a really tight zombie game with asymmetrical play and clever use of paired dice. 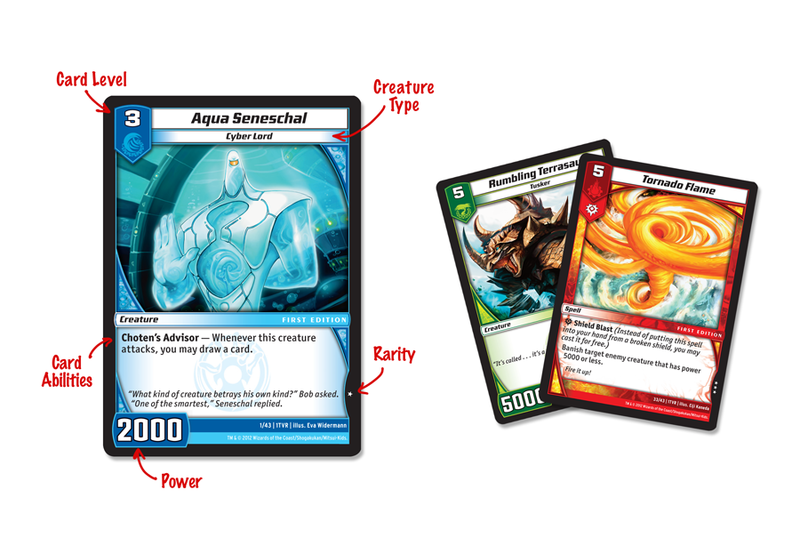 Anyone curious to read more about Hanabi can read my thoughts here and anyone curious about Kaijudo can read my thoughts here. Thanks for the kind words and the great articles too! The depth and essence of Hanabi is explained really well in the above link, and makes me want to play it again ASAP. Oh, and while I would never have wished missing the flight upon Jason, I can't express how grateful I am to have had a fellow gamer, designer and generally awesome guy to whittle away those extra two dozen hours. I'd probably in an insane asylum or jail now otherwise. I feel exactly the same way. I almost want to make Gen Con Monday a tradition. Hang around (on purpose) for an extra day of calm gaming. It could be a good way to unwind from the madness of the convention. I get the impression some industry folk do that already. Not a terrible idea.